Synopsis: When 911 operator Jordan Turner receives a call from a girl who has just been abducted, she soon realizes that she must confront a killer from her past in order to save the girl’s life. Review: It’s so aggravating to find yourself in the theater watching a B-movie that thinks it’s playing in the big leagues, so there’s something to be said about a movie that knows its place. Though it’s a B-movie through and through, The Call manages to rise above its direct-to-video set-up and break on through to the other side of schlock entertainment. I’d seen the trailer for The Call more than a few times and with each viewing I was less and less interested in it because I felt the preview gave away too much of the movie…a feeling I still stand by after seeing the final product. However, even a giveaway trailer couldn’t quite put a damper on the fact that the film is more enjoyable than it has any real right to be. 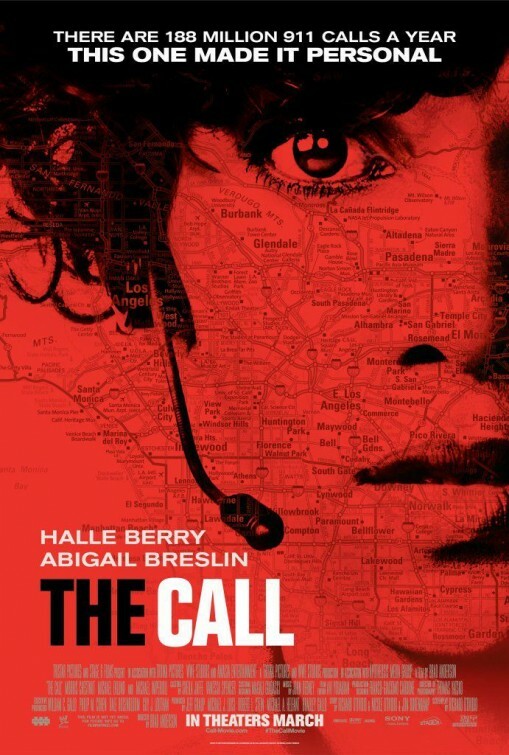 Originally titled The Hive, referring to the 911 control center where much of the film takes place, The Call starts out strong as we find 911 operator Jordan (Berry, Cloud Atlas) using her expertise to help a young girl escape an intruder. Trouble is, Berry is too on the ball and she inadvertently plays a part in the girl’s demise at the hands of a killer. Six months pass and Berry is unable to bring herself to take more calls, deciding instead to teach incoming operators…until a girl (Breslin) calls from the trunk of a car after being abducted from a mall parking lot. The Operator and The Abducted work together as they battle near escapes, broken cell signals, and one very loony tunes psycho across the highways and byways of Los Angeles. Under Anderson’s (The Machinist, Next Stop Wonderland, the underrated Session 9) slick direction, the film chugs along without ever letting the audience get too far ahead. Though Richard D’Ovidio’s lean script is filled with your stock close calls and convenient happenstances, it somehow works in a throwback sort of way. Oscar winner Berry has had a rough go with movie choices for most of her career – for every good movie she’s done there are three or four others that she (and we) would like to forget. I had my reservations going in and although she lays the emotional anxiety on thick, she acquits herself nicely by making her character a believable fighter and do-righter. Breslin is another actress that can’t quite find her footing as she mozies through some teenage awkwardness…but the film allows her some opportunity to break out of the Little Miss Sunshine mode. Most interesting in the cast is Eklund as our resident kidnapper (don’t worry, that’s not a spoiler). Eklund’s role is a tricky one – in these types of films the killer is usually either a pervert or nutcase and Eklund opts to mash those two together and produces a slow burn of creepiness. When the film trips near the end and rips off a classic Oscar winning horror film it’s Eklund that brings it back to reality. It’s not a perfect film by any means. The secondary characters exist only to get Berry, Breslin, and Eklund where the script dictates they need to be and the ending may be something the audience wants but it’s not what the movie deserves. Fortunately, for the previous 90 minutes The Call has brought you along on a breezy thrill ride that serves its purpose and delivers the goods.